Didier Leroy made more than Toyota's president and chairman combined. Akio Toyoda may be president of Toyota Motor, but that doesn't make him the most highly paid executive at the Japanese automaker. 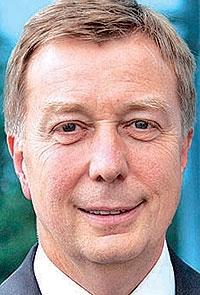 That honor belongs to Executive Vice President Didier Leroy, whose titles at the automaker include chief competitive officer and chairman of Toyota Europe. Leroy's total compensation in the fiscal year that ended March 31 came to 696 million yen ($6.2 million), comprising $1.5 million in base pay and $4.7 million in bonus. That's more than the combined compensation of Toyoda and Chairman Takeshi Uchiyamada. Toyoda's compensation totaled $3.1 million. Uchiyamada's pay and bonus came to $1.8 million.